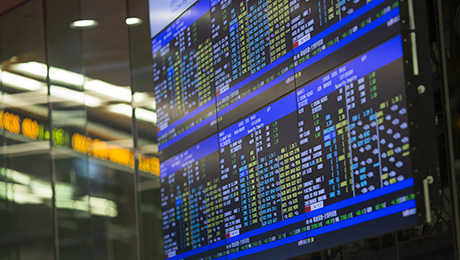 Agency calls special session to look at how high frequency trading is affecting markets. Participants should read a new book beforehand that characterizes the problem as front running. 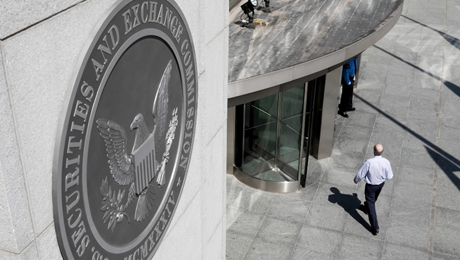 Faced with a series of technical glitches ranging from the flash crash to the software errors that cost Knight Capital $440 million last month, the Securities and Exchange Commission is holding a technology roundtable to see what can be doneto prevent future trading disasters. The agency, which has not disclosed who will participate, said the session will focus on preventing errors, especially in systems that are used to generate trades, confirm transactions and disseminate data. The roundtable will be held at the SECs headquarters on October 4. The meeting will also discuss how the market might use crisis management procedures to detect, limit and possibly terminate erroneous market activities. The series of trading glitches, which began with the Flash Crash in 2010, has driven many small investors from the stock market because they believe they are at a disadvantage to high frequency traders, who now account for more than 70 percent of all equity turnover. The situation may be worse than small investors fear. According to a new book, even institutional investors now have to take a back seat to high frequency firms, which are accorded special trading status by many exchanges in return for their business. The SEC has had a proposed regulation under consideration since 2009, which would limit some of the advantages granted to high frequency traders, but the rule has never been implemented. The book is entitled Dark Pools, by Wall Street Journal reporter Scott Patterson. The title is a misnomer because the book has relatively little to do with dark pools  the off-exchange trading sites that allow investors to trade anonymously without posting prices. Patterson maintains that the entire market has become a dark pool of sorts because the actions of high frequency traders are invisible to virtually everyone. Much of Pattersons argument is based on information from Haim Bodek, who founded a high-speed trading firm called Trading Machines to trade in stock options. Bodek eventually was forced to close the firm because of continuing losses. Patterson says he also interviewed executives at exchanges about the trading practices. The author maintains that high frequency traders enjoy two advantages over other investors in the stock market. One is that through a system known as colocation  in which they place their computers next to exchange computers  they connect to a data stream that alerts their computer algorithms to trades ahead of anyone elses computers. Although the problem of colocation has been debated for some time, Bodek told Patterson that an exchange official admitted to giving the high frequency traders another, unknown advantage. The traders have been made aware of specific types of trading orders that will jump to the head of the trading queues. As outlined by Bodek and Patterson, when a large mutual fund such as Fidelity wants to place a large bloc trade, for instance, to buy one million shares of IBM, the company breaks the trade into many smaller trades and spreads them out in an effort to disguise their intent from the computer programs searching through trades on the network. But according to Patterson, high frequency traders algorithms are now so sophisticated they are able to deduce from a small trade order that a bigger transaction is in progress. A classic short-term strategy is to sniff out an elephant and trade ahead of it, he writes. The computer then knows to place a buy order of a special type that leapfrogs over the mutual funds transaction to the front of the trading queue. When the mutual fund order is finally processed, it is at a slightly higher price because the high frequency traders order has already minutely driven up the price. The high frequency trader then sells the stock at that higher price, and the value of the shares declines. What Patterson is describing is basically a form of front running. According to him, most large institutions still use limit orders, which set a cap on the price the buyer will pay for a stock. The other alternative is a market order, which will buy a stock at whatever the price is in the market when it is executed. According to information in the book, high frequency traders have been told to use a specialized hybrid trade that is neither a limit nor a market order. That particular kind of trade, which most traders have never heard of, jumps the order to the front of the trading queue ahead of limit orders, Patterson says. Patterson says regulators are investigating whether this type of order is giving the high frequency traders an unfair advantage. So many firms now use these orders, he says, that they are constantly jamming up against each other at the top of the trading queue. Its the big institutional firms that are stuck behind them and suffer a price disadvantage when their trades eventually clear, he says. One of the arguments in favor of high-speed trading firms has always been that they help narrow the spreads between the bid and ask price, making stock purchases cheaper for everyone in the market. But if indeed institutional investors' trades are being forced behind the high frequency trades, they are paying a premium that would not otherwise exist. Patterson reckons that algorithms now account for about two thirds of all trades in the stock market. Another advantage that the high frequency firms are allowed is that their trades are invisible to all other traders, so big institutions monitoring the market cant tell whether their strategy has been discovered and others are bidding against them. Why are high frequency traders given so many advantages by the exchanges? According to Patterson, the firms generate so much business for the exchanges that they actually get paid by the high frequency firms, rather than the other way around. High-frequency trading: An unfair edge or just more liquidity?